This is so good. Even better the next day! You can play with the heat on this. I like it spicy so I use extra hot stuff. 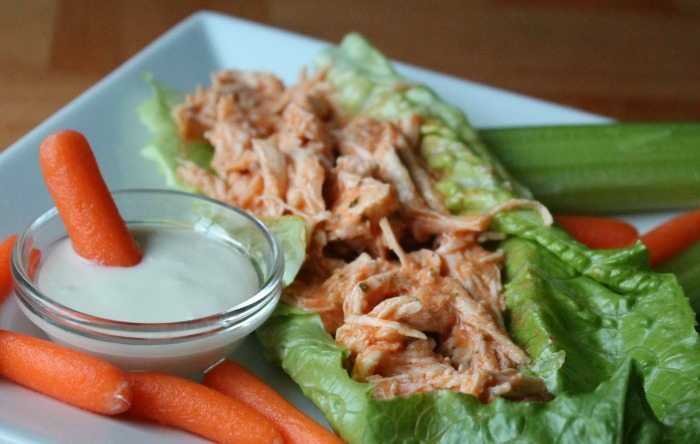 Serve in lettuce cups with carrots & celery as topping. I like to use the chicken over a great spinach salad as an alternative! This entry was posted in News, Recipes, Uncategorized and tagged recipe. Leslie Harrington is a Certified Transformational Health Coach and Wellness Educator. She is a Diabetes Paraprofessional with a passion to help people diagnosed with pre diabetes recognize that diabetes does NOT have to be their destiny.